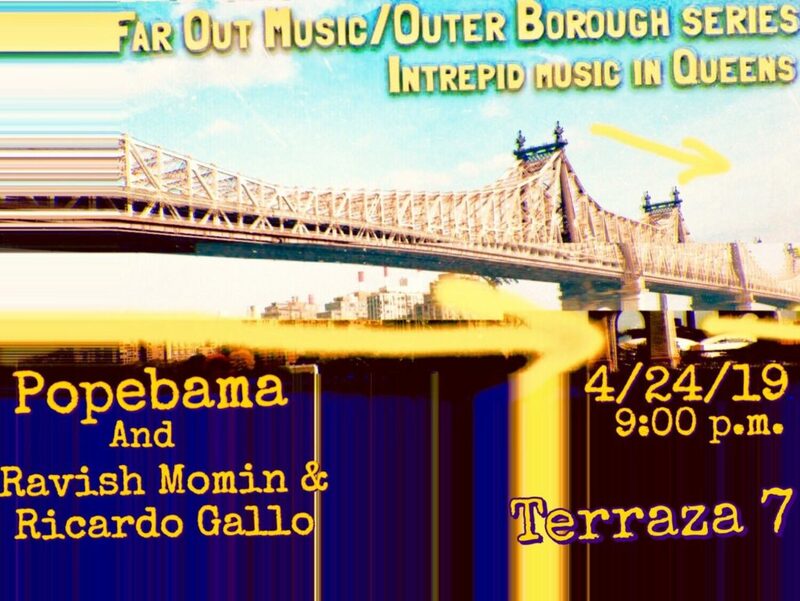 Far Out Music/Outer Borough Series: Experimental, improvised, new composed and other intrepid music in Queens. NYC-based composer-performers, apply text, electronics, and high-energy instrumental writing, to communicate to worlds beyond measly Earth (though we love Earth and the rich soil), through virtuosic execution of non-traditional sounds. Momin and Gallo will perform for the first time as duo bringing together their common interests in music technology and its possibilities for improvising and developing original beats rooted in their backgrounds in the music of South India, North Africa, Middle East, West Africa and its diaspora and Latin America. Delighted to be joining Tenth Intervention and a stellar lineup of musicians as they performs works by American composers, including a world premiere of Nathan Hall’s “Reading the Landscape,” a book of graphic scores composed while on residency this fall in Seyðisfjörður, Iceland. Funding for the performance is made possible with the support of the American Composers Alliance and by New Music USA, made possibly by annual program support and/or endowment gifts from Helen F. Whitaker Fund & Aaron Copland Fund for Music.